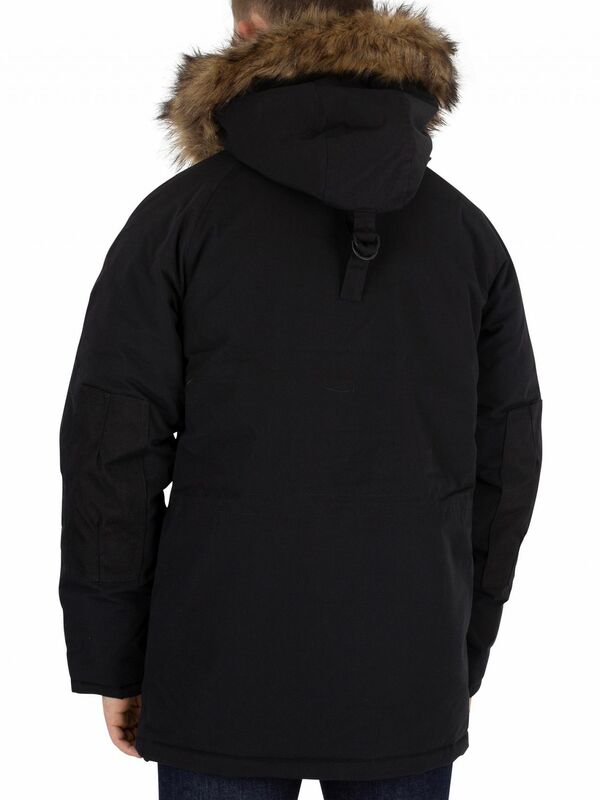 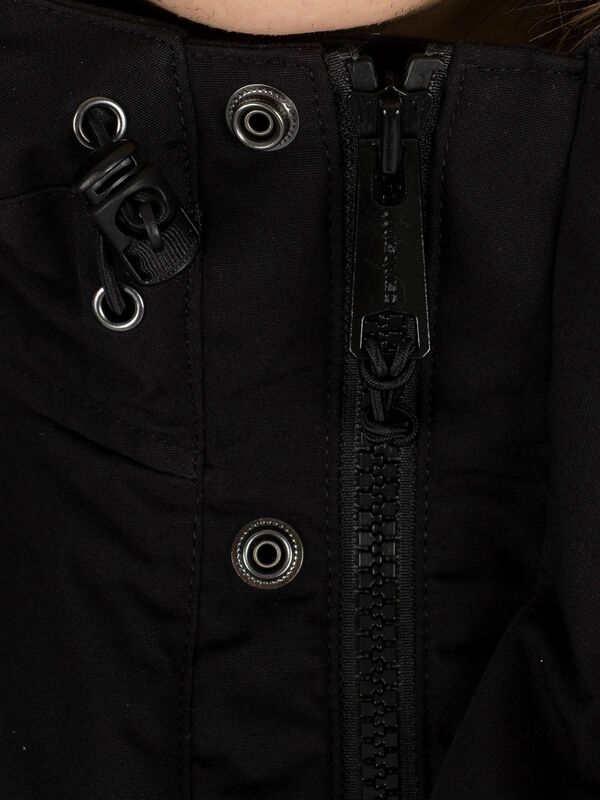 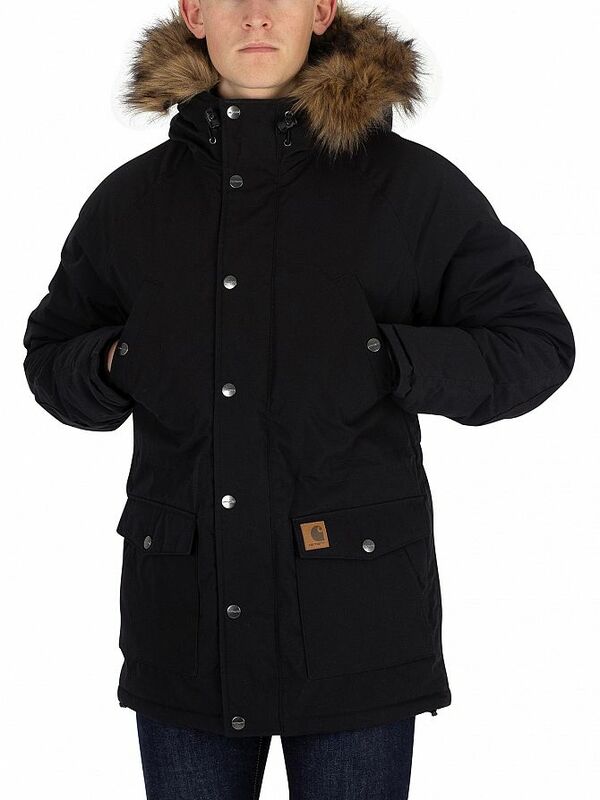 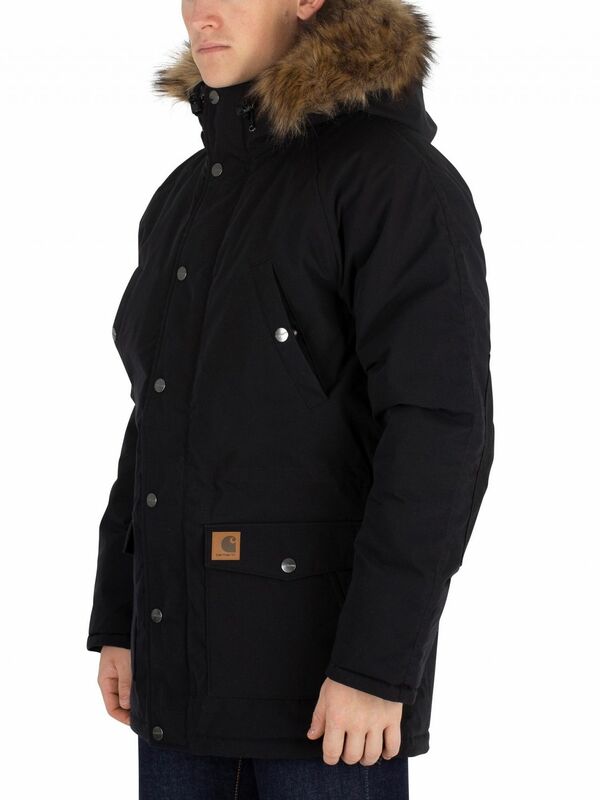 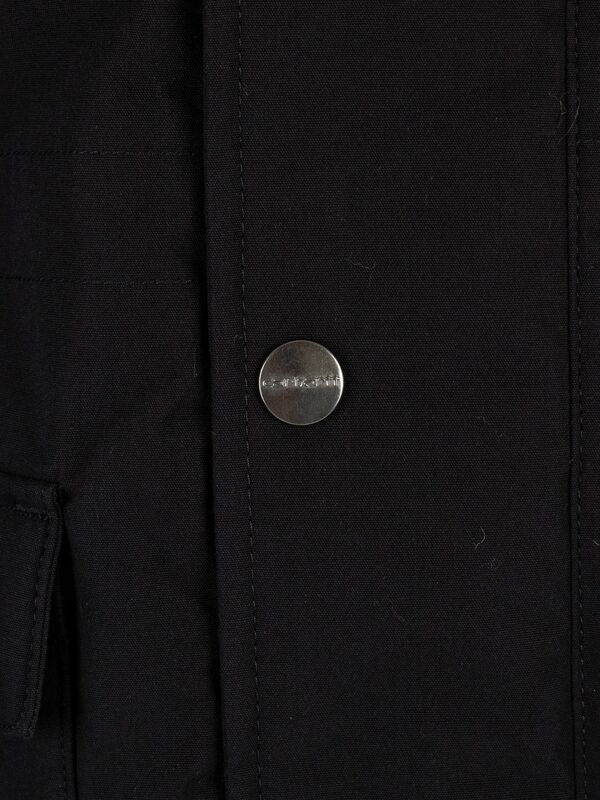 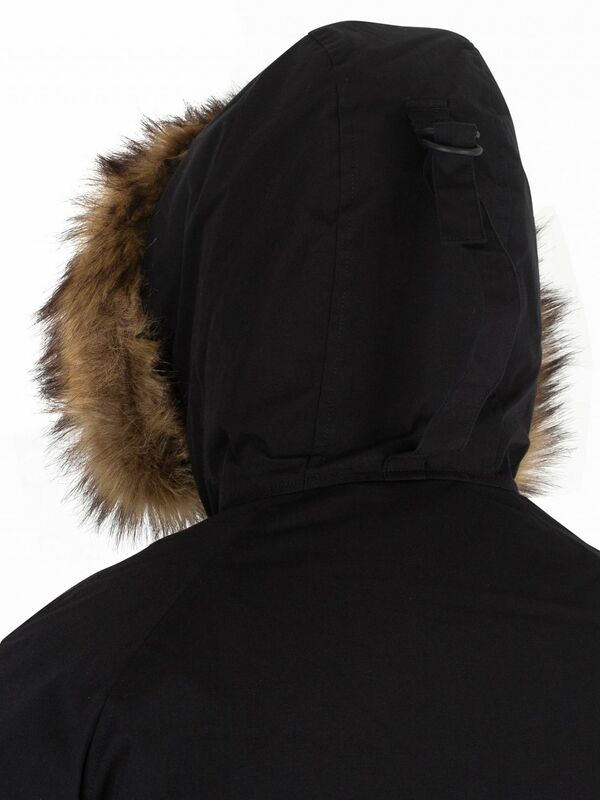 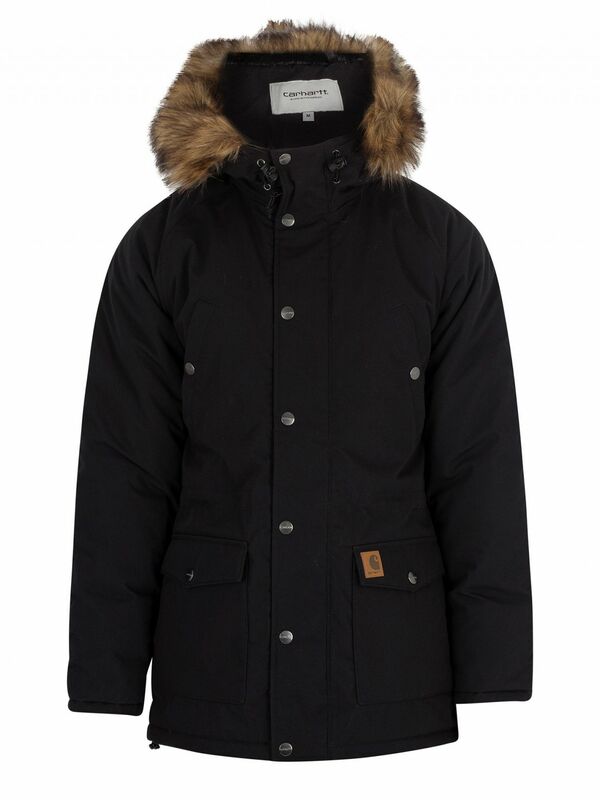 The Trapper Parka Fur Trim Jacket from Carhartt WIP comes in a Black/Black colour, featuring a removable fur trim. 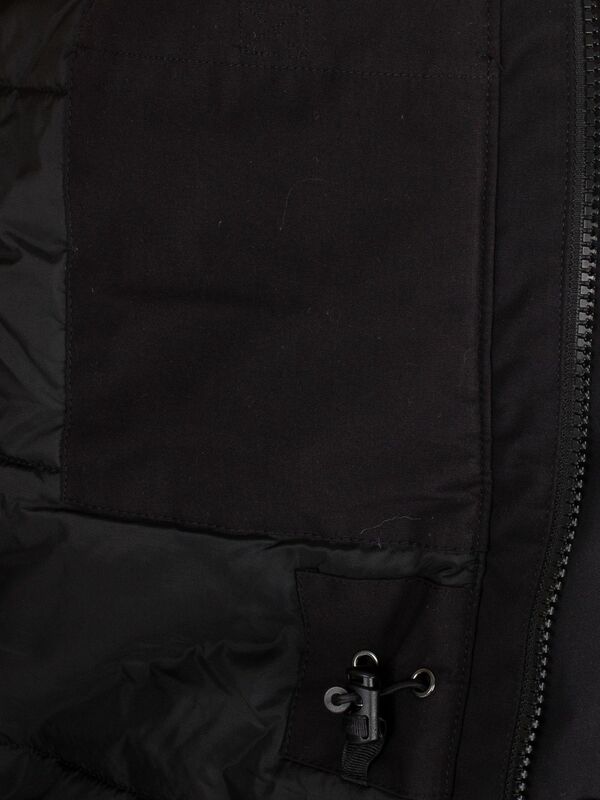 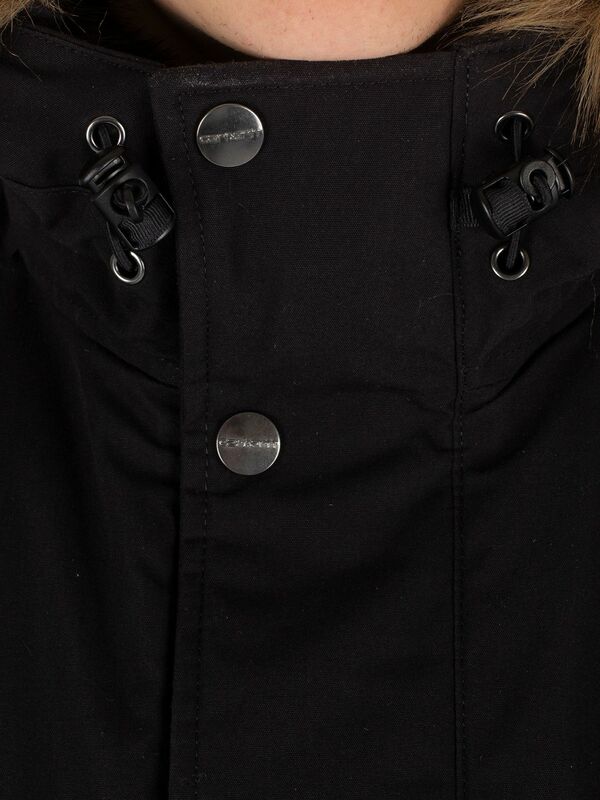 With zip closure, along with buttoned flap cover to the front, four front pockets with side entry pockets, this jacket sports the brand tab on the bottom front pocket. 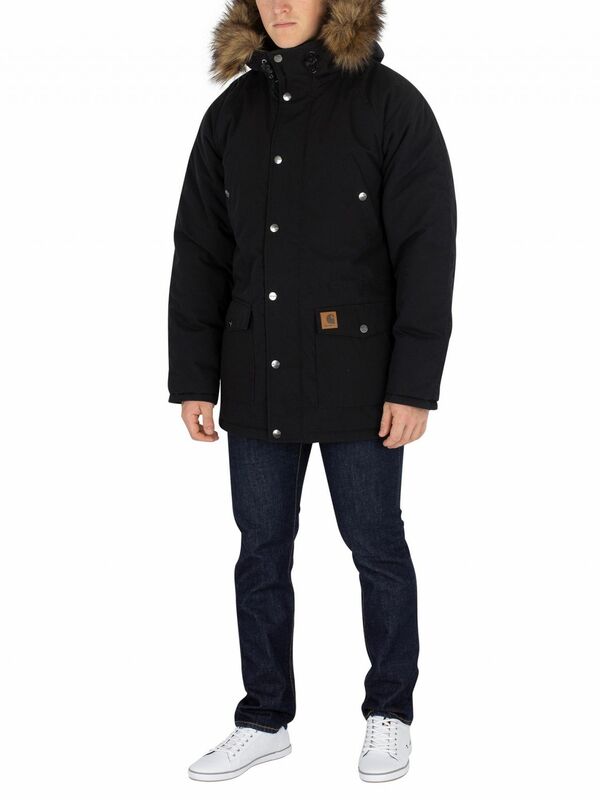 This jacket in regular fit also has an inside pocket. 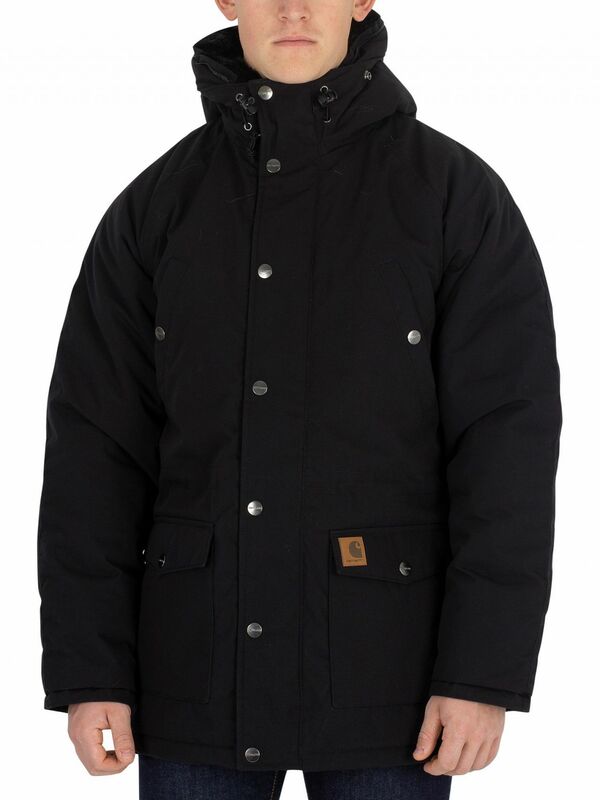 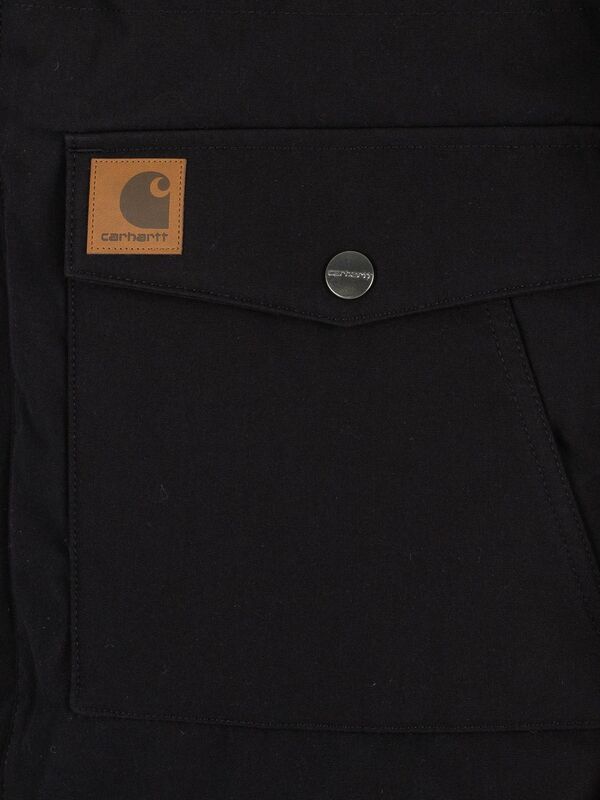 View similar Carhartt WIP or similar Parkas.